Are you a compassionate, hardworking healthcare professional who’s ready to take your career in nurse practitioner jobs to the next level? Do you enjoy working in a creative, fast-paced environment that challenges your skills and rewards your performance? At NorthBay Healthcare, we are pleased to present a variety of impactful, fulfilling opportunities for pediatric nurse practitioner jobs, family nurse practitioner jobs, and others at locations across Solano County. NorthBay Healthcare is a company committed to giving back to those who give so much at work every day. The success of our organization is made possible by the unique talents and contributions of our team members, and we’re here to show our appreciation and support – right from the start. For our associates with nurse practitioner jobs and other nursing jobs, our culture is one that offers a wealth of both personal and professional rewards, including highly competitive compensation, comprehensive insurance benefits, generous paid time off, service awards, shift differential, and more. Are you ready to learn more about how you can become a part of our winning team? 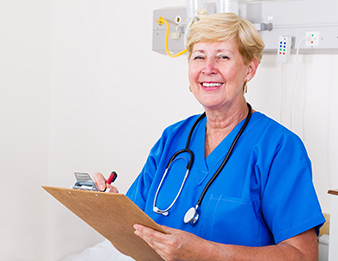 Be sure to check out full list current opportunities for nurse practitioner jobs and join the NorthBay Healthcare Talent Network today to stay up-to-date on our openings for nursing jobs as they continue to become available!